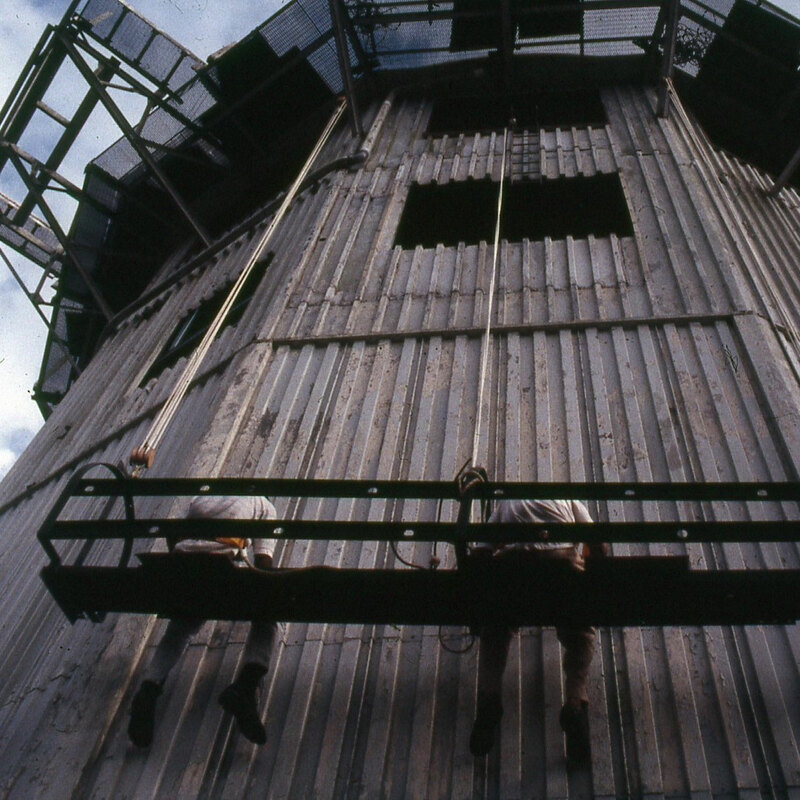 The Canopy Tower wasn’t always one of the best birding destinations in the world. 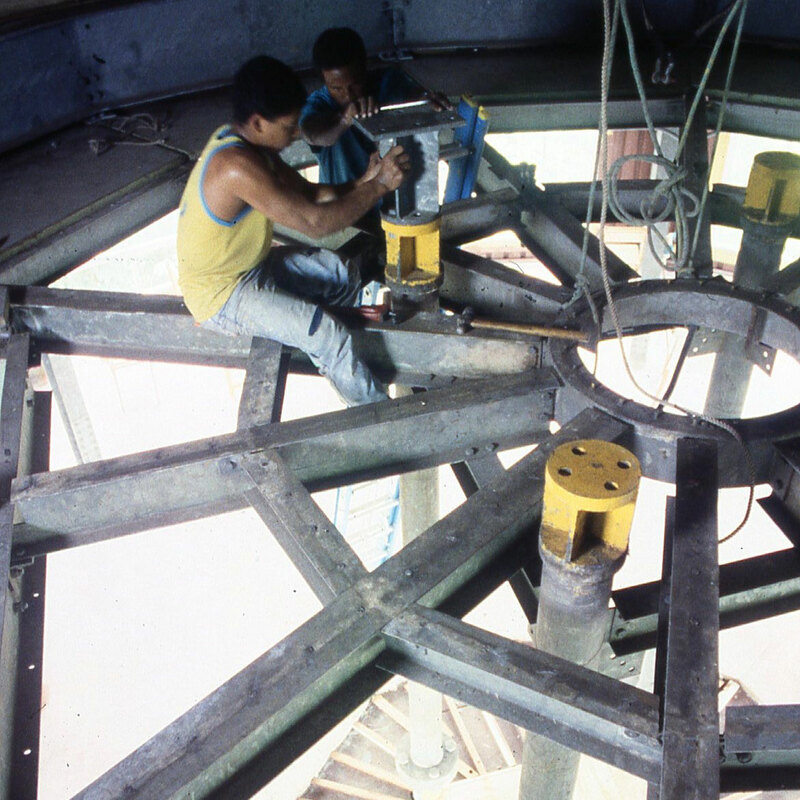 The structure destined to become the Canopy Tower was built in 1965 by the United States Air Force to house a powerful radar used in the defense of the Panama Canal. 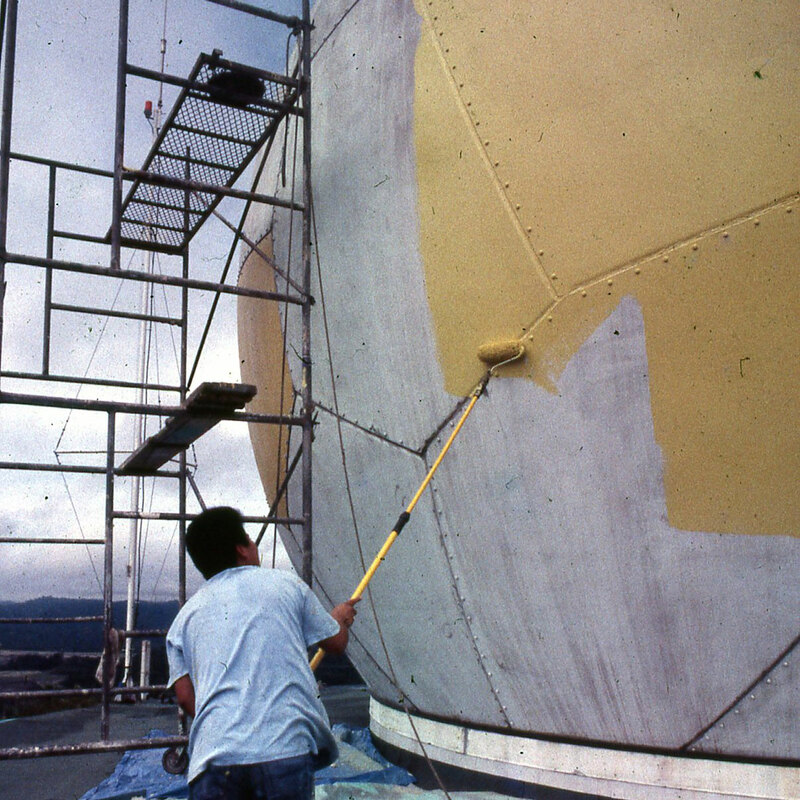 By 1969, the site was jointly used by the Federal Aviation Administration (FAA) to control air traffic in the area, and by the Panama Canal Commission (PCC) as a communications tower. 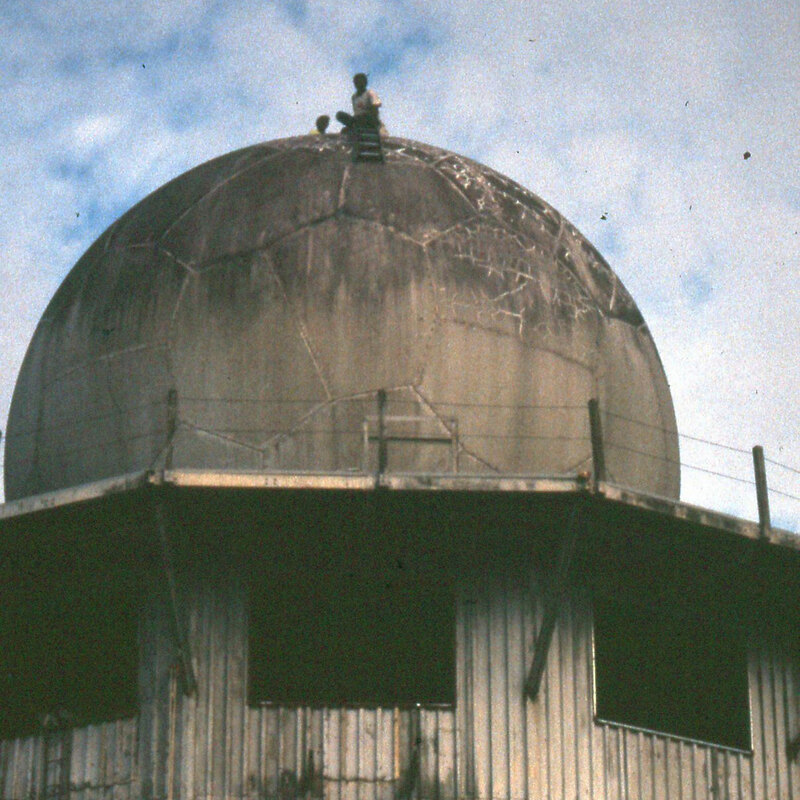 In September of 1988, the radar tower received an important new assignment when it was activated as Site One in the Caribbean Basin Radar Network (CBRN). This network of radars was used by the United States government to detect airplanes suspected of carrying drugs from South America. The tower played this role until June of 1995 when it was closed and left vacant waiting for better days. 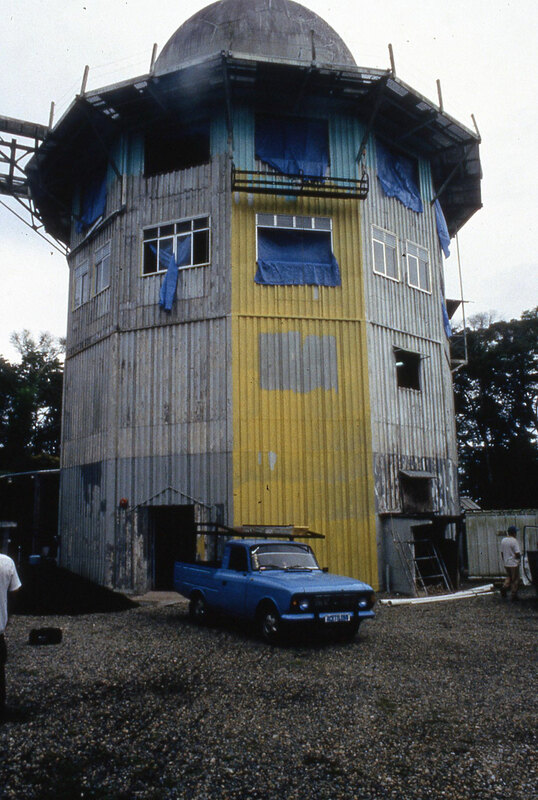 In November of 1996, the radar tower and the Semaphore Hill site, consisting of approximately 35 acres of rainforest within Soberanía National Park, was transferred to Panama in compliance with the Torrijos-Carter Treaties. In August of 1997, the government of Panama signed a long-term contract with Raul Arias de Para to transform the site into a center for neotropical-rainforest observation and ecotourism in Panama. In January of 1999, the Canopy Tower was inaugurated and the rest, as they say, is history. For years I have been fascinated by the rain forests surrounding the Panama Canal. They contain an incredibly rich fauna, exuberant flora and some truly spectacular vistas. Furthermore, parts of these well-conserved forests are only minutes from Panama City. However, as a businessman interested in ecotourism, I could not do anything about it because these lands were part of the Canal Zone or under US military control and, consequently, off limits for commercial development. With the signing of the Carter Torrijos Treaties in 1977, this began to change but the Noriega years slowed everything down and caused a backward leap in the Panamanian economy. Who would want to come to Panama with such an unsavory character in power? After the invasion I worked with the new government putting the country back on track, and it wasn’t until 1995 that I was ready to start realizing my dream. Back then I did not have a clear concept in my mind about what exactly I wanted to do, but I knew the areas around the Canal were unsurpassed in the whole world for ecotourism. Where else can you see 380 species of birds in a 24-hour period (a world record)? Where else can you see huge passenger ships navigate through a lush tropical forest? Where else can you see the Panama Canal, a true wonder of engineering and human ingenuity? Only in Panama, of course. Consequently, in August of 1995, I met for the first time with Dr. Nicolas Ardito Barletta, the recently appointed Director General of the Autoridad de la Region Interoceanica (ARI), the agency of the Panamanian Government in charge of allocating the real estate being transferred to Panama by the United States in compliance with the Carter Torrijos Treaties. I received enthusiastic support from Dr. Barletta, which was essential to realize the dream, some two years and countless meetings later. First I began to explore the area around Gamboa, specifically Pipeline Road, which is known among bird watchers world-wide as a superb bird watching area. Being a bird watcher myself, I naturally looked for sites in which I could also practice this peaceful and challenging hobby. After several weekends of exploration in which Mantled Howler monkeys, White-faced Capuchins and Titis (Geoffroy’s Tamarins) were my frequent companions, not to mention Toucans, Trogons, Gato Solos and Neques (Coatis and Agoutis), I came across indications of a spot where the US Army many years ago had some type of installation. The site and a road leading to it appeared on maps and in aerial photos taken 20 years ago, but more recent pictures showed only trees and more trees where the installation had been. Obviously, nature had taken over the area, maki it even more interesting. Having found the “ideal” place for an ecolodge, I approached ARI with the results of my investigations. ARI then had to contact the Panama Canal Commission because the chosen site was within the operating area of the Canal. After several weeks and several letters and memos back and forth, it was found that the site was under still under the control of the US Army, specifically, the US Tropic Test Center. So the ARI had to approach the Army for permission to inspect the site. Again, several weeks passed and several notes and memos were sent to the US Embassy (Treaty Administration), which in turn contacted the Southern Command, which in turn contacted the US Tropic Test Center. Finally, the word arrived: “NO! We need this place”— although it had been abandoned for years. Back to square one! Undaunted by this setback, I began the search again. This time I explored the area past Gamboa near where the US Air Force had a small landing strip, right next to the Canal. I wanted a spot that could be reached by car and this ruled out the many beautiful islands and coves of Gatun Lake. Again, I spent several weekends walking the area and once even got lost for about two hours, but I found a beautiful spot with a small lake and a spectacular vista of the Canal. This was IT, fantastic! I approached the ARI once more with the “ideal” spot in the bag and the process began again. Letters, memos, aerial pictures, maps, meetings, you name it… I complied with every request and met with whomever had anything to do with this approval, even remotely, but to no avail. The spot was too close to the Canal and the Commission was not too keen on the idea. I was told to look for another site because it would not be approved. Back to square one again! I was ready to quit then. I had been in this search for over a year and I was fed up with bureaucracy. I seriously considered dedicating my efforts to expand my operations in El Valle de Antón where I had recently completed an ecoturist attraction called the Canopy Adventure. But dreams are worth pursuing, so I kept going. This time, the support of a U.S. employee of the Panama Canal Commission proved to be critical. Tom Duty, Manager of the Real Estate Management Division, said offhandedly at the end of a meeting in which site no. 2 had been turned down: “Raúl, have you ever been to Semaphore Hill? There is a USAF radar tower there and it reverts to Panama in November of this year, take a look at it, you might like it”. I had never even heard of the place… Semaphore Hill…it was not in Gamboa, it’s name brought images of traffic and street lights and, frankly, I was despondent, but I decided to take a look at it anyway. “What the heck,” I thought! I have invested so much time and effort in this project I might as well take a look at this hill. And, after all, as we say in Spanish; “A la tercera va la vencida,” on the third try you win! And win I did! Two weeks later I visited Semaphore Hill accompanied by Gladys Diaz, who is Tom Duty’s Deputy, several USAF and ARI personnel, and a couple of civilians of the Treaty Implementation Department of the Southern Command. Even though nobody brought the key and we couldn’t go inside the building, I immediately liked the place. I did not know what I was going to do with it but I liked it right away, it was indeed love at first sight! First, the one-mile paved road to the top of Semaphore Hill takes you through a beautiful, tall, semi-deciduous forest with plenty of mammals and birds. I remember that we heard howlers and saw several Coatis and Agoutis cross the road the day of our first visit. Second, it was only 30 minutes from Panama City. Third, I was told that from the top of the tower you could see the Panama Canal and the Culebra Cut and fourth, the metal structure was interesting, unique. It made me want to go in and see what was inside. 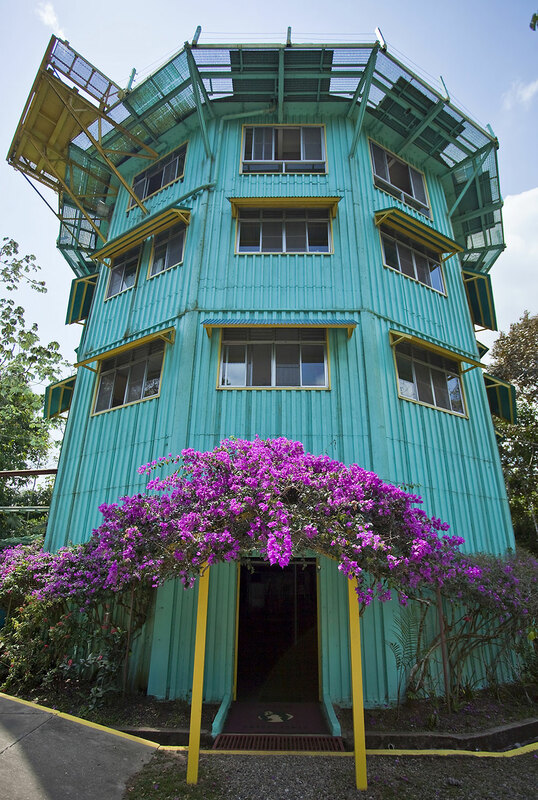 Eventually, I did go in and spent countless hours in the tower admiring the surrounding rain forest, watching monkeys only meters away, observing many species of birds (specially birds that live in the canopy and are otherwise very hard to see) and seeing ships navigate through the Canal. Slowly the project began to take shape. This was indeed an extraordinary place. It combined history; spectacular vistas of the Canal and the surrounding forest; great birding and abundant wildlife. I felt I could transform this into a world-wide attraction, a must-see-place for every visitor to Panama. However, there was one little problem, one more obstacle to overcome, Semaphore Hill was inside Parque Nacional Soberania so INRENARE (the National Park Authority ) had to approve it. Therefore, in addition to ARI, the PCC, the Southern Command and the USAF, I had now to negotiate with INRENARE! Furthermore, it was known that INRENARE did not look with kind eyes towards private concerns going in national parks. I took a deep breath, tightened my belt (me amarre los pantalones) and jumped in. In reality my project did not entail building inside a national park, something which is “taboo” to park authorities, my project meant transforming an old military installation into a center for the observation and study of the neo-tropical rain forest. To complete my project I did not have to cut a single tree or use bulldozers or heavy machinery. I was simply proposing to remodel a military building and make it suitable for visitors interested in observing the rain forest and its inhabitants. On the other hand, I am a believer and practitioner of conservation so I sympathize with INRENARE’s efforts to protect our rapidly vanishing rain forests. However, I also think that ecotourism, if done correctly, is a sustainable activity that can provide employment without damaging the natural resource. Thank God, my arguments conviced the park authorities and they gave the green light. Consequently, on September 16th, 1997, more than two years after my first meeting with Dr.Ardito Barletta, I signed a concession contract with ARI and INRENARE which allows me to transform the radar tower into an ecotourist center. That is what I am doing now. I expect to open in January of next year, the exact date is undetermined because the park authorities still have to approve the Environmental Impact Study which I submitted two weeks ago. But it is now a question of time because the study concluded that the negative impacts to the environment are negligible. In fact, the project will have significant positive impacts, namely: our presence in the area will help to control poachers and the project itself will educate visitors about the need to support conservation efforts world wide.